Working on a construction site is among the most dangerous and popular jobs known to humanity. So much can go wrong with all the heavy equipment doing heavy lifting, unset concrete and partially secured fixtures. This is why common sense and law dictates that construction workers wear protective gear at all times. 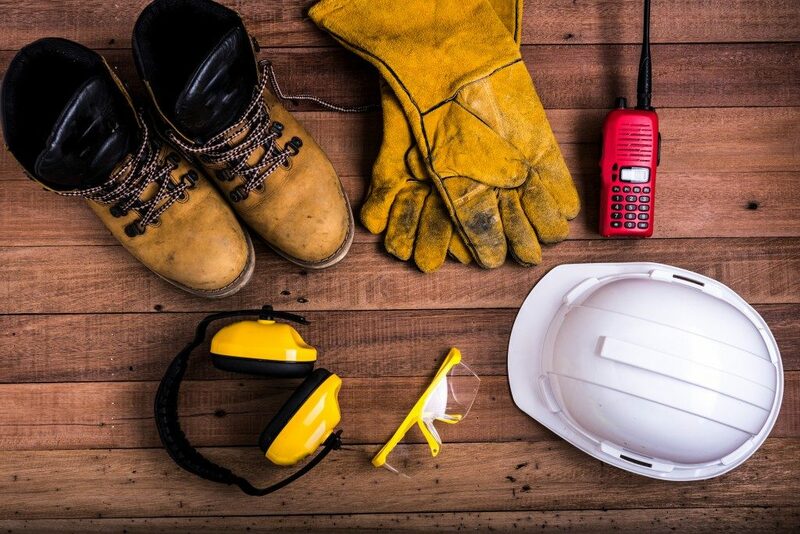 We are all familiar with the hard hats and the reflective vests that form the basis of a construction site worker’s attire. But do we know of the other easily ignored protective gear such as safety glasses and work boots? Here is some more personal protective gear and why every construction worker needs them too. Eye protection is a must-have. Without protective eyewear, you not only expose your eyes to damage but also risk your own dexterity. Visual cues are important in a dynamic world. A simple blast of dusty wind that blinds you for seconds can make you stumble on a crossbeam, miss a hammer strike or stand in the line of danger. Eye protection, therefore, not only protects your eyes but also ensures that you remain in total control how you interact with your immediate environment. Snug gloves with a wide range of motion will protect your hands from the cold, the harsh materials and construction chemicals. While some calloused palms might not be so bad for people who take pride in their manual work, any blisters or burns from overexposure to cement will limit your ability to work the following day. Gloves will form an effective barrier between your hand and your work and take all the damage leaving your hands fresh for more work the coming day. Construction sites can be awfully loud. All the sound from the construction equipment, people hammering things down and trucks revving at low gear can be overwhelming. Most construction workers might skip earmuffs to retain their hearing capabilities. A better alternative will be going for earmuffs with radio feed so that you can still communicate with your colleagues without exposing your ears to all that sustained noise. A good pair of slip-proof and puncture resistant boots will keep your feet and footing secure. The boots keep your feet safe from falling items, exposed sharp objects while giving you a firm footing wherever you go. Needless to say, you need your feet at the best if you have to keep your job as a construction worker. With so much going around on the ground, ensuring that your point of contact with the ground is secured as important as wearing a hard hat. Safety at the construction site is a joint venture. The construction site manager must enlighten all people working in the premises to don protective gear when entering danger zones. Enlightenment coupled with demand will ensure that all workers make it a personal commitment to stay safe when at work. In addition to this, you can provide a means to accessing all the necessary protective gear so that no one lacks any of the above because they don’t know where to buy or cannot afford it.